A unique tee gift that’s not another divot tool, hat or towel. 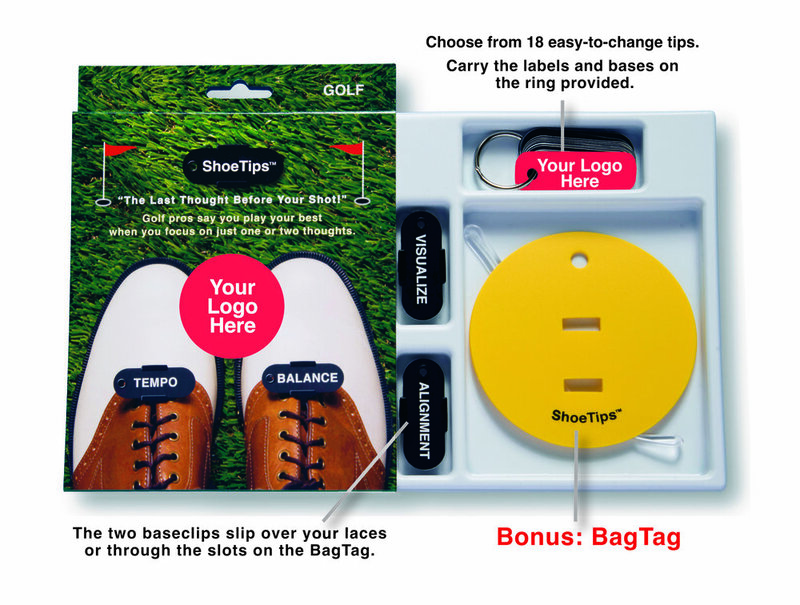 Designed for golfers of all skill levels—from beginners to pros—for use anytime, anywhere. This ingeniously simple playing aid reminds you to put your best swing on every shot, helping you score better and enjoy the game more. Golfers of all levels can use them during practice, play, and competition. An easy-to-use, quality product that’s weatherproof, flexible, compact, and handsomely packaged, ShoeTips makes a great, and thoughtful gift. And it really works! Want to immediately impress the golfers in your tournament? ShoeTips is that gift—something they’ll thank you for every time they play. Show them how much you and your sponsors care about them! I'm convinced! Send me a free Sample and let's talk.